010 - Ho Chi Minh City - Vietnam - 2014 - John Macs Travel & Photography. Vietnam & Cambodia - 2014. 010 - Ho Chi Minh City - Vietnam - 2014. From our travels in Ho Chi Minh City (Saigon). We visited The Saigon Central Post Office, and just over the road from this magnificent Post Office was The Beautiful Saigon Notre-Dame Basilica. Within the same area we looked at The Old CIA Buildings, The Reunification Palace , and checked out the restaurants for the next couple of days in Ho Chi Minh City. 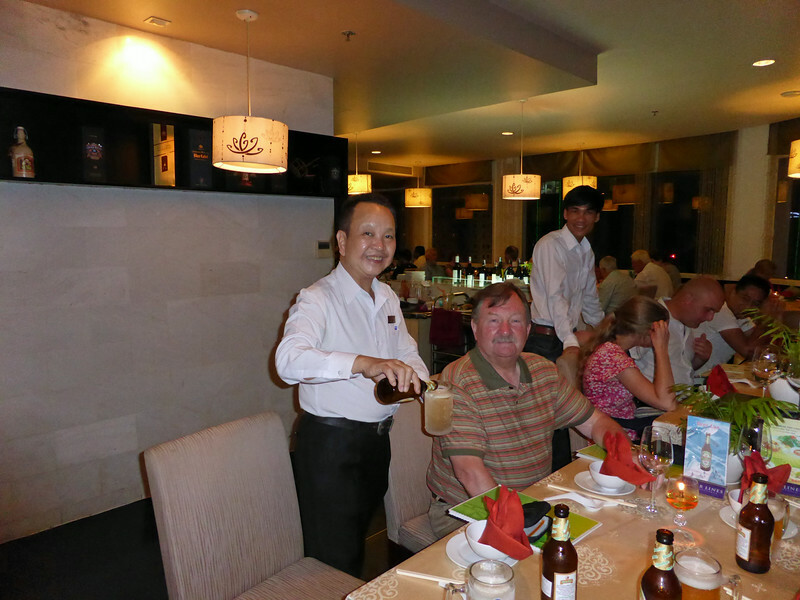 We had lunch at The Bier Garden, and dinner at The Lemongrass Restaurant, Palace Hotel Saigon. Ho Chi Minh City, Vietnam. - 2014. Scona Having Dinner At The Lemongrass Restaurant, Palace Hotel Saigon, Ho Chi Minh City, Vietnam. - 2014.